Register your free ticket today! Tesla confirmed this week that it is developing a “unique battery recycling system,” which the company believes will result in “significant savings” over the long-term. As we reported yesterday, Tesla released a fascinating new ‘impact report’ to look into how its products and operations are impacting the environment. Tesla’s approach to battery recycling is quite different from most other automakers who are so far focusing on end-of-life applications for battery packs. Many automakers, like Hyundai, BMW, and Renault, have announced plans to use old battery packs in energy storage systems instead of recycling them to make new ones. Some of them are already doing it with older battery packs coming back to them. Tesla says that it doesn’t have a significant number of battery packs currently coming back due to their end-of-life, but it has a few packs coming back from “R&D, manufacturing, quality control and service operations” and the automaker is recycling those batteries. But that’s apparently a temporary solution as Tesla claims to be “developing a unique battery recycling system” at Gigafactory 1 in Nevada. Several companies are currently working on ways to be able to recover critical minerals from battery cells in the recycling process. 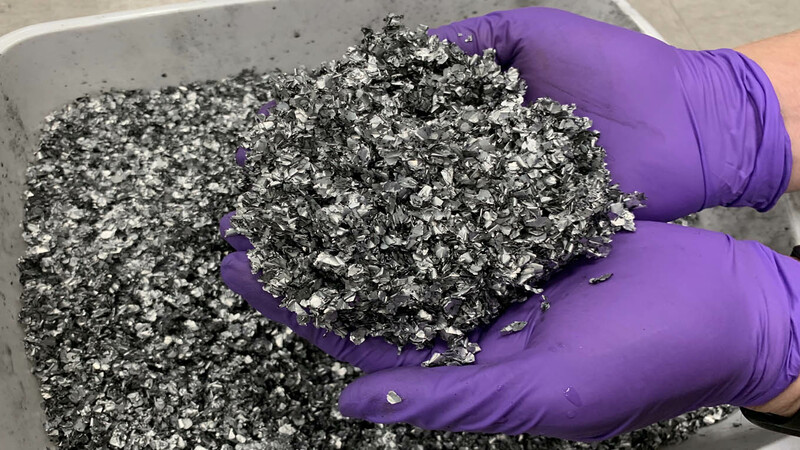 American Manganese recently achieved high extraction from lithium-ion battery cathode material at their pilot recycling plant. Not much else is known about Tesla’s battery recycling process at Gigafactory 1. Interestingly, JB Straubel, Tesla co-founder and current CTO at the automaker, started a material recycling startup two years ago and it is believed to be connected to Tesla. This is an important part of the equation for the electric future and I think it needs to be emphasized more. As Tesla mentioned, it is a question that comes up often and when it does, I like to point out that when gasoline is burnt, it’s over. It’s now in the atmosphere. With batteries, you have other opportunities when they are not useful inside vehicles anymore. I am not sure whether or not Tesla’s approach to recycling is necessarily better than what other automakers are doing with their batteries at the end-of-life, but they are all better than just burning gasoline. Next: Next post: Aston Martin Rapide E: Stunning all electric car REVEALED – is this the new 007 Bond car? © 2019 Battery Tech Expo. Built using WordPress and OnePage Express Theme.